Free school in Finland has an outstanding track record of success when compared to school systems in other countries. Students in Finland earned the highest test scores in a 57 nation study by the OECD, with Finnish students placing at the top in science, math and reading. This international acclaim has attracted educators from around the world to learn about the factors making their education system so strong. Unlike in the US, where schools put many restrictions on students, Finnish schools have open campuses with no tardy bells. Students are allowed to sleep in class or doodle if they choose, and they are assigned no more than ½ hour of homework each evening. Finnish students also address their teachers by first name and they do not even start school until the age of 7. The concept of free school in Finland might seem too good to be true to many educators in the US who might assume that this educational model would only produce a bunch of slackers. However, the goal of Finnish schools is to recreate a home like environment for students and since Finnish students don’t wear shoes at home they also are not required to wear them in school. There are no school uniforms either and many schools are built with lounge areas that have fireplaces. The schools set high academic standards for students but they do way with the grueling workload that is often required of top students in other countries. Students attend fewer school days than students in most other nations. 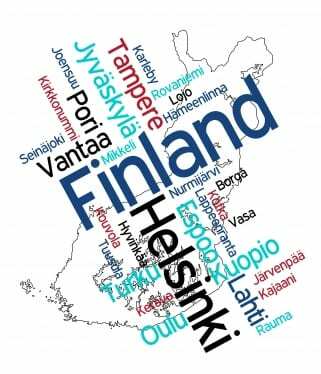 There are other factors that distinguish Finland free school from institutions in other countries and help to explain some of their academic success. For example, the Finnish school system provides the same curriculum for every student, and they do not have special classes for gifted student. They also do little standardized testing and provide a comprehensive free preschool system that is focused on socializing kids at a young age. Finnish students are not given grades on their work until they reach high school and there are no class rankings compiled at any grade level. All Finnish teachers must hold masters degrees and the job is highly competitive and sought after. Only 10% of college graduates are accepted into teaching programs which makes teaching a high status job in the country. All these factors combine to create a foundation to nurture students that has proven successful. Why do Finland’s schools get the best results?